for a wide variety of organizational issues. create DiSC-based solutions of any scope — fast! you up and running with a wide variety of DiSC solutions right out of the box. style and the needs of your audience. By using Course Outlines, it is easy to organize Insight Modules into effective solutions. The Everything DiSC Facilitation System includes a number of ready-to-use “starter” Course Outlines, including Effective Communication, Conflict, Interpersonal Effectiveness, Management Effectiveness, and Team Effectiveness. You’ll also get tips on building your own custom course outlines. • Pure Styles. You’ll meet four characters who represent the four DiSC styles. The characters provide an overview about their behavior and describe their goals, fears, preferred environment, and response to conflict. • The Meeting. You’ll see a team in conflict, one-on-one discussions between a manager and each team member, and a successful resolution. • Effective Communication. You’ll see examples of how an HR manager fails to communicate effectively, then improves by adapting his communication style to the DiSC styles of four individuals. • Natural Styles. You’ll get informal, unscripted responses to eight questions from people of all four DiSC styles, as well as a conversation between two opposite styles and a People-Reading activity. 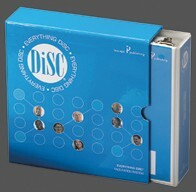 A comprehensive Overview of the Everything DiSC Facilitation System, including descriptions of each section. A Sample of DVD segments showing the richness and versatility of this resource. 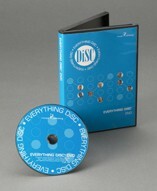 A Sample DVD Viewing Guide to provide an overview of the Everything DiSC DVD. A Sample Insight Module to illustrate this key component of the system. Find out how your organization can begin to use the Everything DiSC® Facilitation System administered by our company, by your own trainers or independent training consultants.